Photos: On Ash trunk. Ballingeary, Cork, SW Ireland. 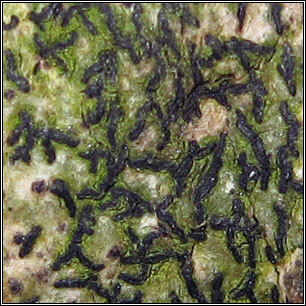 Thin or +/- evanescent whitish or green-grey thallus, the short (1mm), prominent lirellae with central slit often densely crowded at centre of thallus. Pycnidia rare. Forms extensive mosaics on young trees. 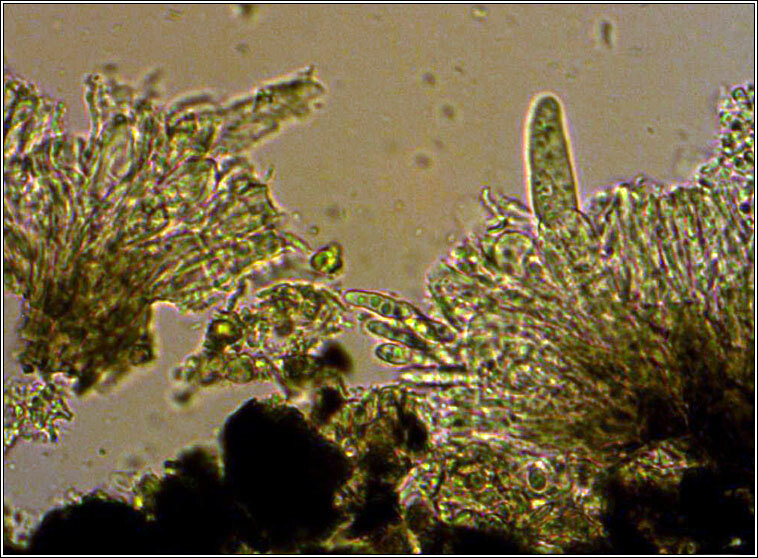 Asci 8-spored, spores 3-septate, 13-18(-20) x 2.5-4(-5) µm. Microscope photograph below. 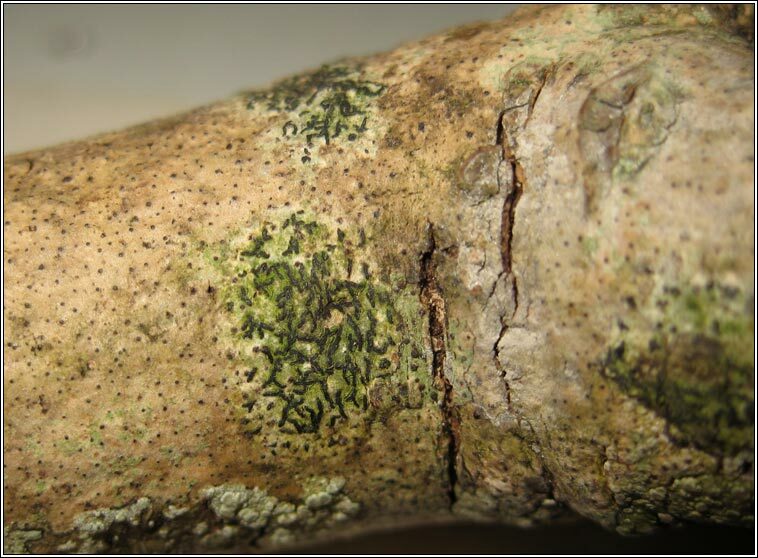 Thallus negative. Exciple K+ olive-green, hymenium I+ blue, epithecium brown or green-brown, K+ olive-green. 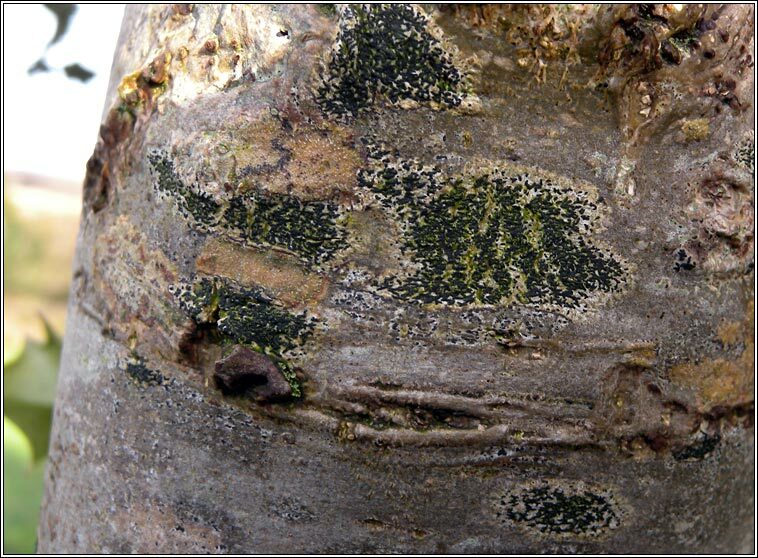 Common on the trunks, branches and twigs of trees with smooth shaded bark, rarely found on fences.